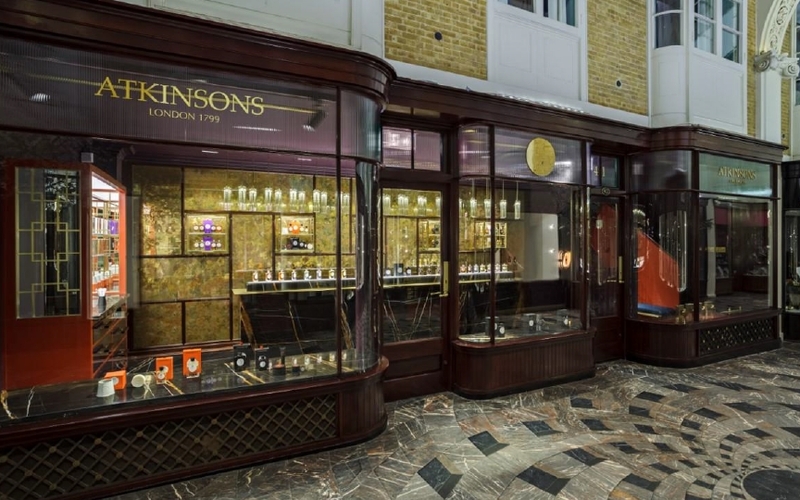 Atkinsons, which boasts a long and illustrious history as perfumers to the British aristocracy has returned to its roots in Mayfair with the opening of a new Maison in London’s famous Burlington Arcade. The new flagship sits in striking distance of 24 Old Bond St, the iconic address where the company first took up residence in 1832 and built its rich and characterful pedigree. Famed for its idiosyncratic fragrances amongst the court of George IV, James Atkinsons’ original Mayfair emporium created an indelible mark on the tastes of London’s high society. Responsibility for breathing new life into the brand’s imperishable love affair with Mayfair was given to London based designer Christopher Jenner who was briefed to reignite the Atkinsons’ relationship with a contemporary cast of Mayfair heroes, heroines and dandies. Spanning three floors, Atkinsons’ new Maison features a barber shop on the lower ground floor which will offer a range of grooming treatments for men and women while perfumes and fragrances, in the distinctive Atkinsons bottles, will be available to buy on the ground floor. 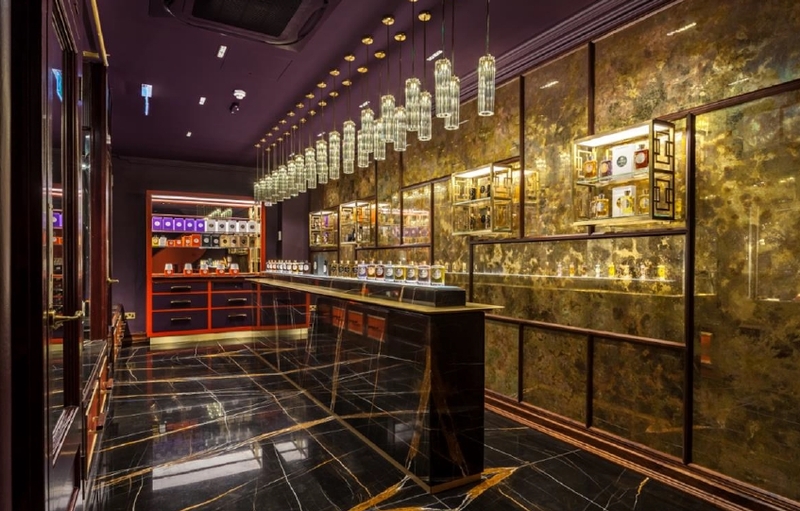 The strikingly contemporary design elevates the olfactory narrative of Atkinsons through a perfume bar crafted in Rio Nero marble and brass, illustrating the collection in sensational material effect and reviving the exquisite feeling of discovery that so captivated the original customers of 24 Old Bond Street. The bar invites visitors to indulge themselves in the subtle nuances of scent and find the one that perfectly chimes with their personality. The legendary collection displayed on the bar are recipes from the past which includes a scents created for Queen Victoria on her wedding day and the perfume worn by Beau Brummell, the original English dandy. For over 200 years, Atkinsons has been guiding the highest echelons of society in the art of fragrant expression. 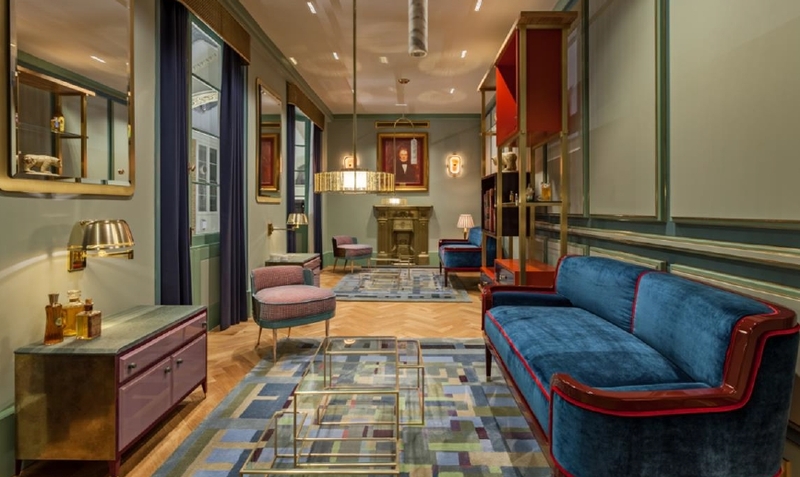 With a roll call of patrons from King George IV and Queen Victoria to Beau Brummel, Napoleon and the Russian Tsarinas, the first floor salon continues an intimate tradition of personal consultation. With just the right hint of snobbery, a new breed of luminaries are invited to discover their own affinities with scent within a bespoke sanctuary of hand crafted furniture. The archives are also on display where visitors are invited to look at old perfume labels used on the bottles of notable Atkinsons clients including Napoleon and Sarah Bernhardt as well as view the original perfume bottles and account books. Of the new flagship Jenner comments, “The modern notions of lifestyle and taste were invented by the Georgians who clamoured for novelty yet were meticulous about restraint. That tension is the essence of design, so our aim for the new Atkinsons Maison has not been to integrate history but simply embody it for today”. To celebrate the opening, Atkinsons is launching an eponymous new limited edition fragrance named 41 Burlington Arcade. Drawing cues from its emblematic sibling 24 Old Bond Street, this is fresh new take on a quintessential British cologne. Posted in Architecture & Design and tagged Atkinsons, Christopher Jenner, furnishing international, London, Perfume Bar. Bookmark the permalink.